[toc]Single celled microorganisms known as bacteria can multiply and replicate in your body to cause major diseases. Some of the most harmful bacteria which cause infections include escherichia coli, streptococcus and staphylococcus. Antibiotics are the most common medical cure for these infections. But, herbs can also be the means to attaining good health and freedom from bacterial infections. Top herbal remedies for bacterial infections comprise Aloe Vera, Neem, Barberry, Goldenseal, Garlic, Cinnamon, Thyme, Cloves, Cayenne Pepper, Horseradish, Cumin, Oregano, Basil, Rosemary, Lavender, Tea Tree, Nutmeg and Peppermint. Most of these herbs destroy the disease causing bacteria. Some herbs such as Echinacea combine antibacterial properties with immunostimulatory action. 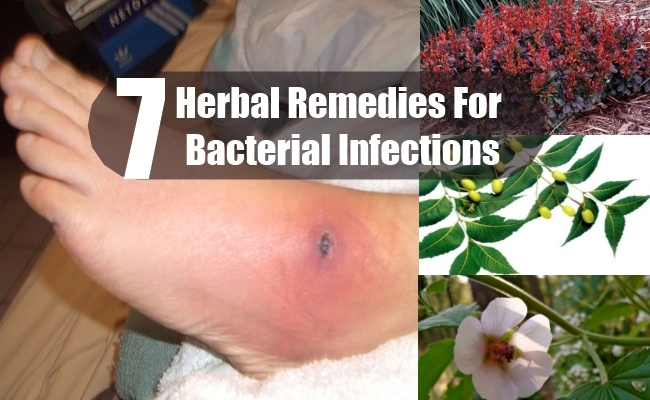 Herbal remedies which can cure bacterial infections with ease and efficacy are covered in this article. Do consult a qualified medical health care practitioner before embarking on any treatment using herbs. Aloe Vera is a potent antibacterial herb. It is also antimicrobial and anti-inflammatory. Therefore, it is very effective to cure a host of bacterial infections including throat infections such as pharyngitis caused by harmful bacteria. It can also cure skin ailments and skin conditions caused by bacteria. Aloe Vera contains substances such as glycoproteins, polysaccharides and aloenin which help the body to heal and recover rapidly from a host of infections and diseases. 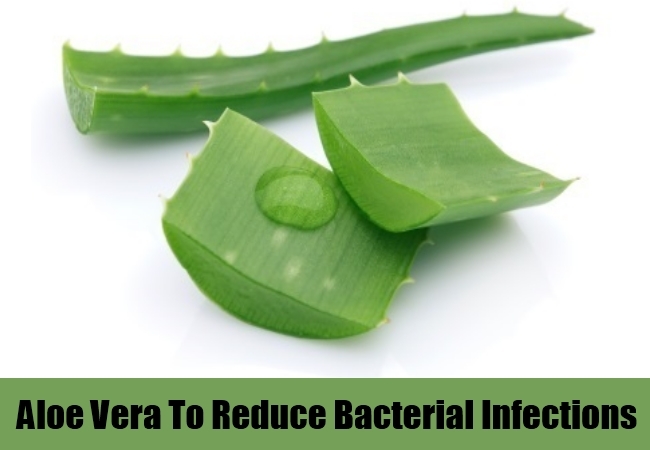 Aloe Vera gel can be applied topically on bacterial skin infections for quick healing. The gel can be taken from the succulent leaves of this herb which have an inner mucilaginous lining. Aloe Vera gel extract or capsules can be internally consumed to combat harmful bacteria in the body which may be causing gastrointestinal diseases. Aloe Vera juice can also be taken to ward off bacterial infections. Barberry contains an active ingredient called berberine. Berberine has been found to destroy bacterial germs in research studies conducted by scientists. 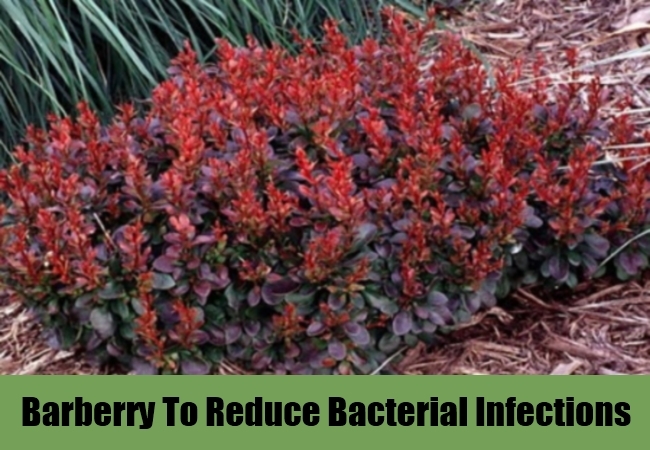 Barberry is a strong antibacterial herb. Berberis Vulgaris is the Latin name of this herb. This herb has been used for treating infectious diseases since 2,500 years back. Allium Sativum is the name given by botanists to this herb. Garlic contains antibacterial, anti-inflammatory agents such as ajoene and allicin which makes this herb a very effective remedy for bacterial infections. 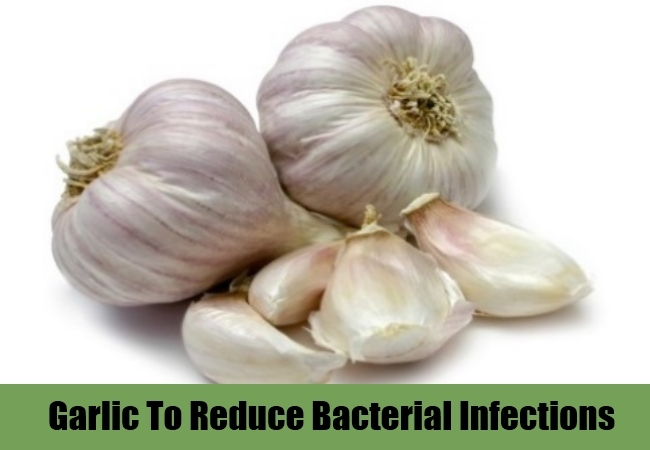 Research studies have even found a certain ingredient in Garlic called diallyl sulphide which makes this herb more effective than medication in treating food borne illnesses caused by a harmful bacterium known as campylobacter. Allicin is a substance found in Garlic which only exists in its purest form in raw cloves of this herb. Therefore, to benefit from this herbal remedy, you need to make sure that you eat it raw. Eat a few cloves of Garlic everyday to increase your resistance to the bacterial infection and to enhance the ability of your body to fight back against harmful bacteria. Garlic has a blood thinning effect so avoid this herb if you are on any blood thinning medication. The botanical name of this herb is Origanum Vulgare. It is a well known herb for culinary use. But it also has medical benefits. Researchers have found that Oregano stops the growth of harmful bacteria called Staphylococcus bacteria as effectively as a powerful antibiotic medication called penicillin. This is because this herb possesses high quantities of a chemical compound called carvacrol which is antibacterial in nature. You can add this herb to your dishes, gravies and soups as a seasoning or spice and consume these for beneficial outcomes. 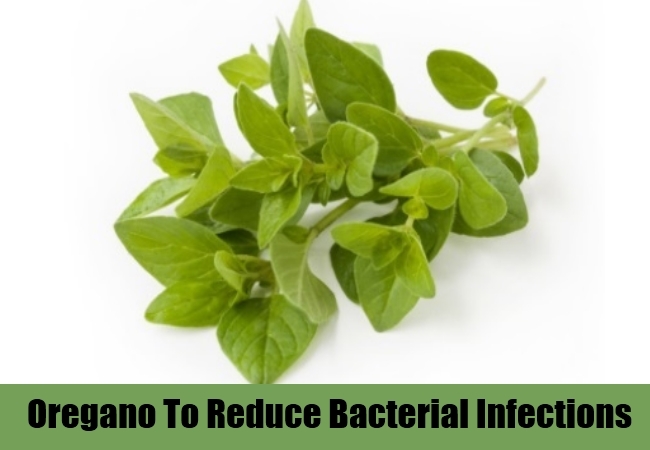 You can also use Oil of Oregano on the skin infections caused by harmful bacteria. If you are taking this herb in capsule form, do not exceed 500 milligrams. Neem is known botanically as Azadirachta Indica. In common parlance, it is known as Indian Lilac. 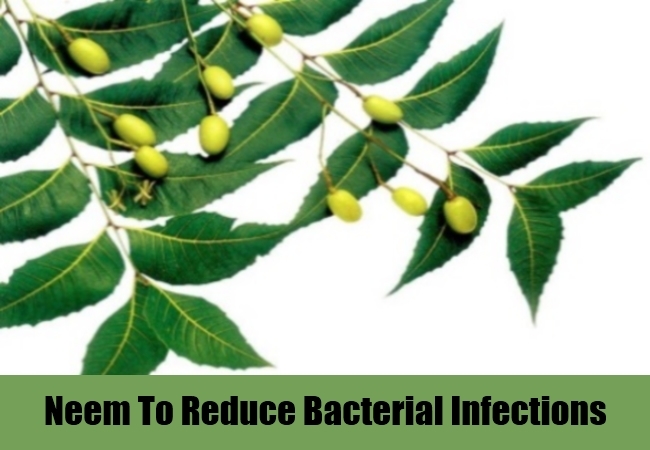 Neem is very useful for countering bacterial infections. Research has found Neem to be effective in curing bacterial infections such as streptococcus salivarius , streptococcus mutans , streptococcus sanguis and streptococcus mitis. All parts of this herb including its seeds, bark, stem, leaves and fruits have been found to possess antibacterial properties. You can take Neem tablets for warding off bacterial infections. Neem oil can be diluted with a little Olive oil and rubbed onto the skin for healing bacterial infections topically. Neem is popular as a herbal remedy in Ayurveda as well. Neem has also been found to ward off the harmful bacterial infection caused by escherichia coli. Sage is a popular kitchen herb used for seasoning dishes. But this herb also has curative powers. Called by botanists as Salvia Officinalis, this herb has been shown by scientists to be effective in destroying harmful bacteria such as staphylococcus, salmonella and escherichia coli. A variety of sage known as white sage has even been found to inhibit bacterial infections in the throat. Sage leaves can be added to salads, gravies and dishes and consumed in this manner for gaining the benefits of this herb. Sage leaves can also be chewed for good outcomes. Sage can be added to other herbs such as Rosemary and Basil and consumed as a herbal broth for relief from bacterial infections as well. Sage tea can also be brewed from the dried leaves of this culinary herb and drunk regularly for getting rid of bacterial infections. 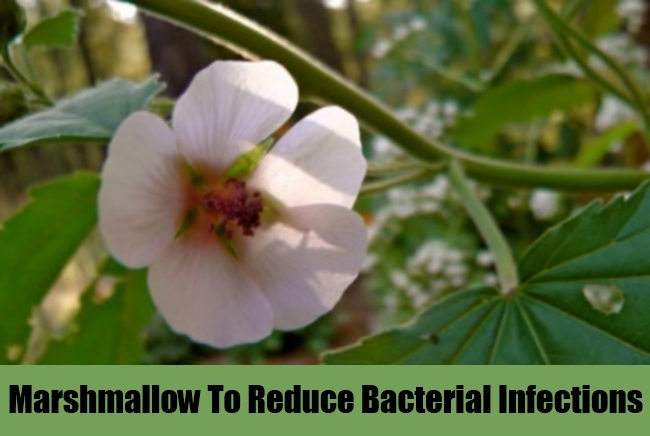 Marshmallow has been named as Althea Officinalis by botanists. This herb is quite useful for treating bacterial infections. Tannins found in this herb are known to destroy bacteria which cause urinary tract infections. Marshmallow is also rich in mucilage. Ingestion of this herb therefore helps to destroy bacterial infections in the stomach and throat. This is because the mucilage found in the root of this herb coats the gastrointestinal lining as well as the lining of the throat and ensures that the harmful bacteria are unable to attach themselves to these linings. 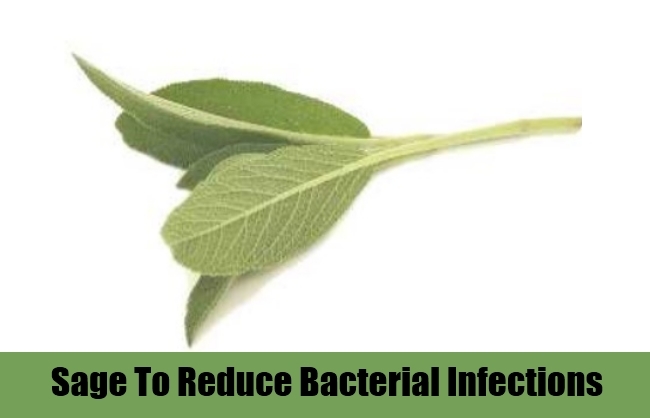 This prevents the replication of the bacteria and leads to speedy recovery from the bacterial infections.